Rudraksha genuine beads and Rudraksh mala, Nepalese and Java beads. The link between Heaven and Earth. The most auspicious energized bead which Lord Shiva has given for the benefit of mankind. As one removes the flesh, one can count the series of lines running across the bead, this reveals the faces or mukhis. Amazing to think these beads of vegetable matter, can affect the human neurophysiology and eventually reducing stress. Protection for the wearer, against negative energies. Just by touching the Rudraksha we are blessed, through wearing energy increases. In time we have a balanced view of the world..
We only sell the REAL THING..
We do not mix Rudraksh beads with any stones to make the mala become a piece of fashion jewellery, they can not be mixed with any gems as they loose their energy and function. All our Rudrakshas are put together the tradional way as mentioned in the scriptures to give maximum benefit. 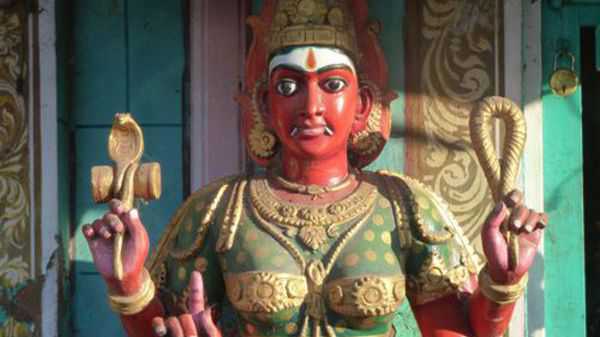 In the SKANDA PURAN it mentions the only additions allowed are pearls, ruby, spatikam crystals, silver, gold and vaiduryam (lapiz lazuli). Make an appointment. Perth, Western Australia. 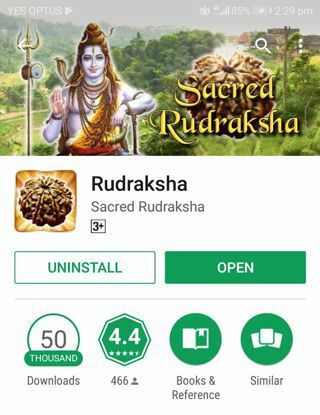 The World's first RUDRAKSHA app. Just wanted to say the quality of your malas is excellent and a pleasure to wear. I will definitely recommend you to my friends and relatives! Hip hip hooray !! I finally received my 9 mukhi bracelet today. It is so lovely ! Thank you !! Thank you very much for the beautiful sacred rudraksha mala I just received today. I absolutely love it. I just wanted to thank you for the prompt dispatch of the Mala that I ordered. I bought it for my husband and he absolutely loves it! Discover the amazing benefits of these sacred Rudraksha beads and malas. A gift from Lord Shiva to benefit mankind. There is no other bead as auspicious and powerful. The benefits from wearing these beads are mentioned in the Shiva Maha Puran and Padma Puran, Jabalopanishad and Skanda puran. A legend says Lord Shiva was meditating for many years, when one day he opened his eyes to look down on earth, at this point out of compassion several tears fell down and grew to become Rudraksha trees. The miraculous properties Rudraksh is mentioned in the ancient Indian scriptures such as Shiva mahapuran and Jabal Upanishad. The fruit is blue in colour but can be green or turn purple with age. 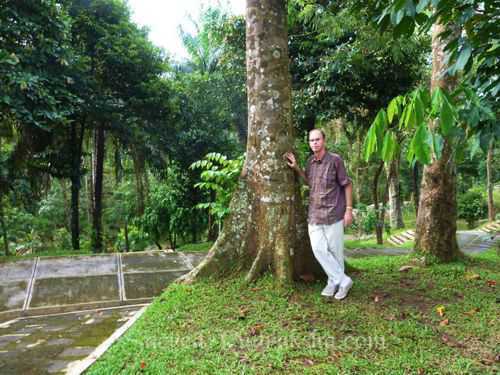 The trees originated in South East Asia, namely Java, Borneo, Sumatra and later the seeds were planted in Nepal and other parts of India. The scientific evidence is that the beads act as a capacitor, storing energy and can send out subtle electrical impulses and induce vibrations. This results in helping our nervous system, lowering blood pressure, increased concentration, and reducing stress. The Rudraksha is also a kind of shield against negative energies which may harm the body. It is also said in the scriptures that Hindu yogis wearing these experienced tremendous amount of tranquillity and inner peace which helped them meditate in focused manner. Originally there were 108 types in the form of different faces, known as mukhis this can be counted by the series of lines across the seed, but today there are only 38 types. Each mukhi has different electrical impulses. 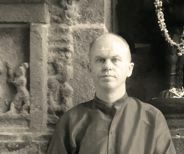 Most Rudrakshas are five faced as in the example shown here. The rarest being the one faced symbolizing Lord Shiva himself. 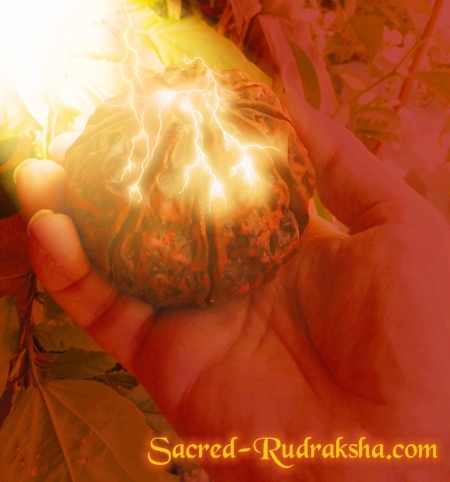 The Rudraksha possess mystical and divine properties and create a protection for the wearer. The smaller the Rudraksha the more auspicious. They range from 4-25mm in diameter. The larger variety are mainly produced in Nepal, whilst the Asian countries produce the smaller bead. Rudraksha is usually worn by devotees of Lord Shiva, but can be worn by anyone, regardless of race, gender or faith. 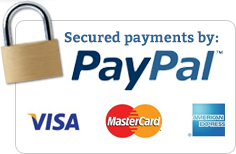 If you are looking for genuine Rudraksha beads, an alternative to the regular sellers, you have come to the right place. We don’t just try to sell the most expensive beads, but try to find the appropriate Rudraksha for the correct situation. 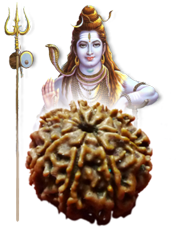 Rudraksha is derived from two Sanskrit words RUDRA and AKSHA, Rudra meaning Lord Shiva and Aksha meaning tears. Its Latin name being Elaeocorpus Ganitrus Roxb, Elaeocorpus means electromagnetic which gives the beads its powerful properties. Almost all our malas and pendants use silver as this is the best conductors, to transfer the electromagnetic properties between each bead and then transfer its energy to us. 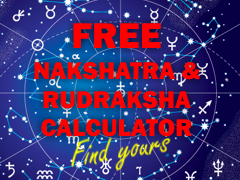 Click and find your nakshatra, this will reveal your correct mukhi to wear. 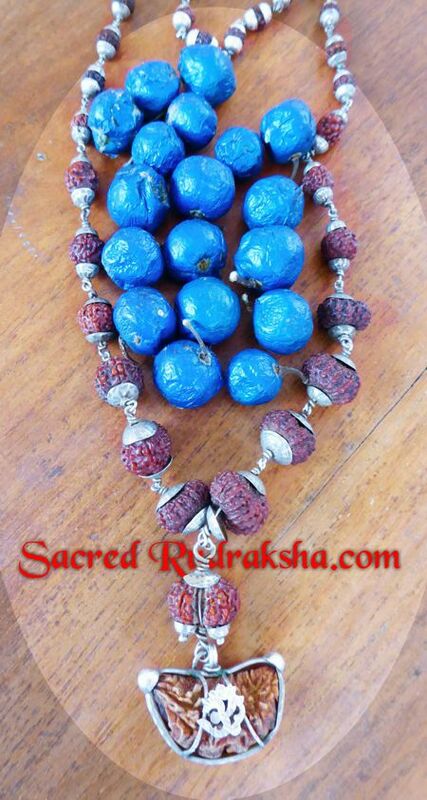 Welcome to Sacred Rudraksha, we are a small family business based in Perth, Australia. We have been involved with this precious bead since 1999, and have gained tremendous benefits through them. Our aim is to share and provide you with quality genuine Rudrakshas at a reasonable price, as there are many counterfeit beads or imperfect ones on the market. 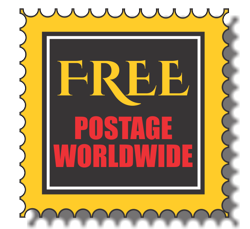 All our Rudrakshas are from Indonesia, India and Nepal.